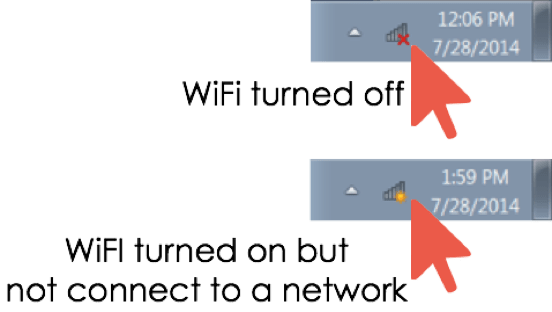 Turn on the WiFi on your computer. 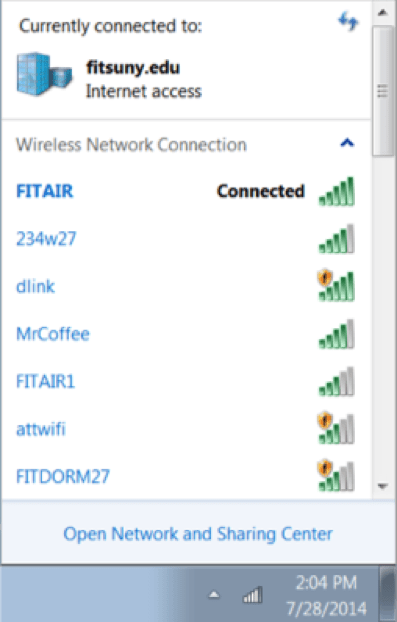 Click on the WiFi icon – scroll to FITAIR – then click “Connect”. 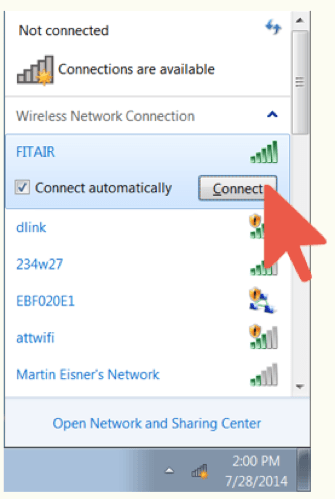 The Windows Security Alert window may appear – Click “Connect”. NOTE: Don’t be alarmed by this, Windows by default does not “trust” any authentication system without some manual input. Rest assured you are connecting to a secured network. 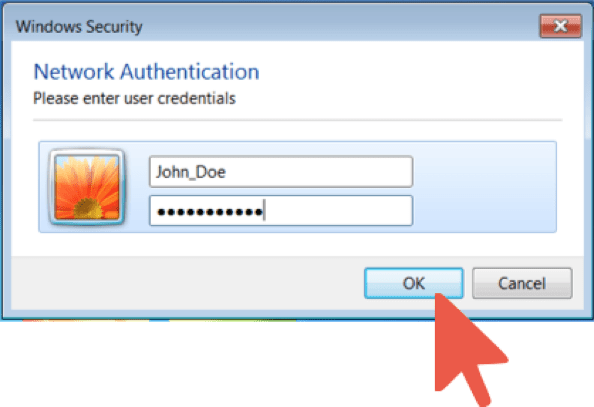 Enter in your FIT Username and FIT Password in the Network Authentication window and click “OK”. 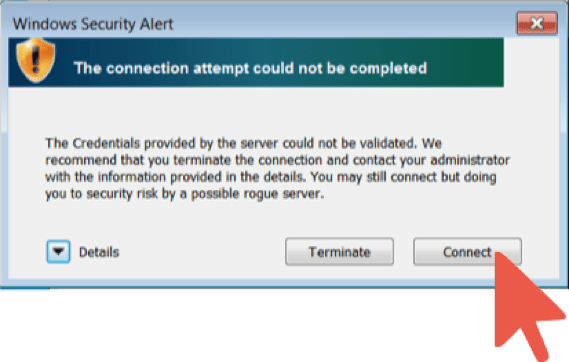 The Windows Security Alert window may appear AGAIN – Click “Connect”. 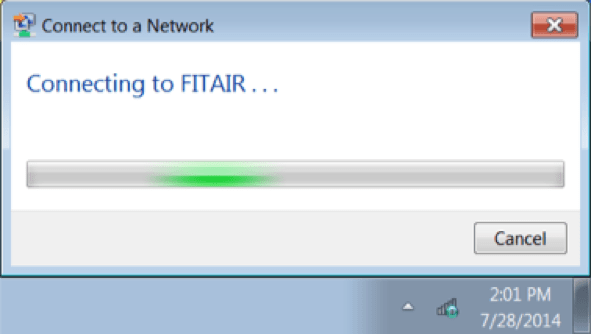 You are now Connected to FITAIR.